Australians have a way of putting positioning things, really clever and accesible. Mental Health is a tricky topic, but we ask each other every day, are you ok? This campaign taps into that, but ultimately wants people to really check if that person is ok! By raising awareness about the importance of connection and providing resources throughout the year, the R U OK? Foundation aims to prevent isolation by empowering people to support each other through life’s ups and downs. So many Irish causes could come together for their own version of this day, it’d be cool if it wasnt a fundraiser either. The power of one, told brilliantly by Charity:Water. When you have a celebrity, you don’t always need to make a TV ad to make it work. Look at this (and watch the hits go up and up in the coming weeks). Reach and scale!! I saw yesterday that the Ireland Funds have opened their Grants rounds. One of the categories that they will accept requests under is “Promoting Philanthropy in Ireland”. A few years ago, working with Niall O’Sullivan, we got a group of fundraisers in Ireland to attend a meeting that talked about promoting Philanthropy. We pulled together a “thoughts” document and shared it with the Board of Philanthropy Ireland. I believe that there is more movement in this space again, which is great to hear. But there was one line of thinking from that day that I have been keen to progress. My belief is that one of the ways (and not the only one) of creating a culture of Philanthropy in Ireland is to think long term and about the next generation. I had heard about a campaign in the US that encouraged children to not just save their pocket money but to also spend some of it and share (donate) another portion. I don’t know who runs it, or even if it is run by anyone, but I want to adapt it and bring it to life in Ireland. I sincerely believe that a “Spend, Save, Share” movement, targeted at children in junior school (with a plan to grow with them as they develop) would be a massive step in promoting philanthropy in Ireland. Imagine, if, from a young age children think about money differently. 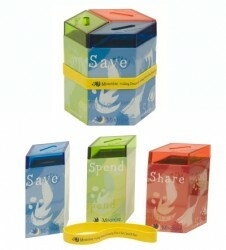 They think about saving (that’s good right) but they also know that its ok to spend some too. Just as importantly though, they start to think about what some of that money could do for others? So they would start to think about sharing. I firmly believe that this would be the start of a mindset change, which would need to be supported by a full programme that, as I said, develops as the child develops, which could be incredibly powerful and game changing for the future of philanthropy. This isn’t about the amount, so fundraisers should put the calculators away. This is about the action. It’s about creating a movement that changes how we think about philanthropy. It’s a step towards the idea of planned giving. Ireland is a generous nation, we all know that. But we aren’t a nation that really plans or thinks about its giving. I believe that a programme like this would create a culture where we start to think in a planned way. Well I want charities to get on board with me. I would love to take this on, but I need charities to buy into it. Maybe organisations like Fundraising Ireland, Philanthropy Ireland, ICTRG, The Wheel could row in behind it too? Maybe even some financial institutions too! We could apply to the Ireland Funds for seed funding and then look at where else we could get support. This is clearly in the ideas stage. But there is an idea here. If you think it’s a good one and think your organisation would like to get behind something like this, let me know, drop me an email, tweet me, call me, whatever, just get in touch. We will then set something up with everyone who thinks it’s a good idea and do something about it. I believe in this and would love to bring it to life. But I need you. You’re massively hungry and make the impulse order, but before you know it, you’re just halfway through the bigger-than-your-face guacamole bacon burger and already stuffed. What if there was a way to channel that over-ordering toward the fight against hunger? Enter Halfsies, a social initiative that’s helping restaurant-goers eat better, reduce food waste, and feed those in need. Patrons at participating restaurants elect to “Go Halfsies” on a menu item and receive a smaller, healthier portion of the meal. The remainder of the cost is then donated to one of Halfsies’ nonprofit partners. So, not only does your Halfsies meal save a bit of your waistline, it also helps get food on the table for those in need. Have you heard about Hireland? I’m really impressed by this movement. We all have great ideas, but what turns an idea into a movement is action. This idea, like many others, was generated over a kitchen table, spurred on by a sense of frustration that we were losing so many great, talented people to emigration. But this movement came to life because the emotion was one of frustration not anger. Anger leads to blame whereas frustration can lead to action. So the Hireland team, people from the business world, took action. They decided the time had come: “to stop waiting on a solution from the government and to take action ourselves”. They used their own spare time and resources to make this a reality and got students from Champlain College and DIT involved too. The media industry has gotten behind this with over 500K of in kind donations, creating and placing ads. 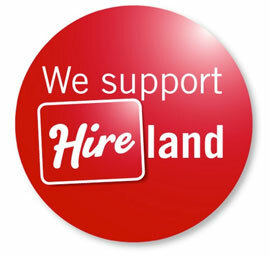 Companies are asked to pledge a job on the Hireland website. Once a company pledges they will appear on the Pledgers wall and this forms part of a “a positive ripple effect for all to see”. The pledge will then become part of Hireland’s Growth index and that forms “part of a powerful voice that Ireland is open for business”.